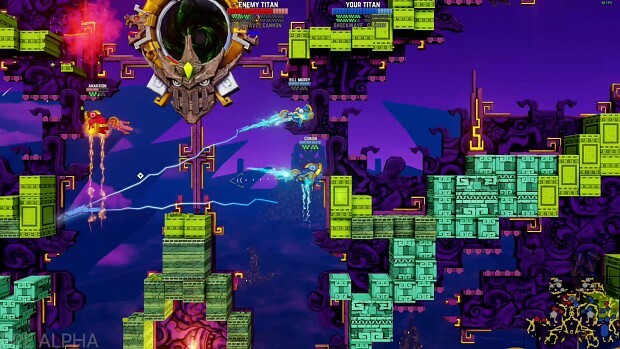 Antegods is an action-packed arena shooter in which the remnants of the Mayan civilization have taken to space. Two teams of 4 players each control customizable stonepunk mechs to hunt for energy and fight off opponents in a procedurally generated and highly destructible map. The ultimate goal is to activate enormous ‘titan’ statues that will bring explosive mayhem down upon the enemy team. Whoever wins these tactical battles climbs an intergalactic tournament ladder, ultimately becoming gods themselves.